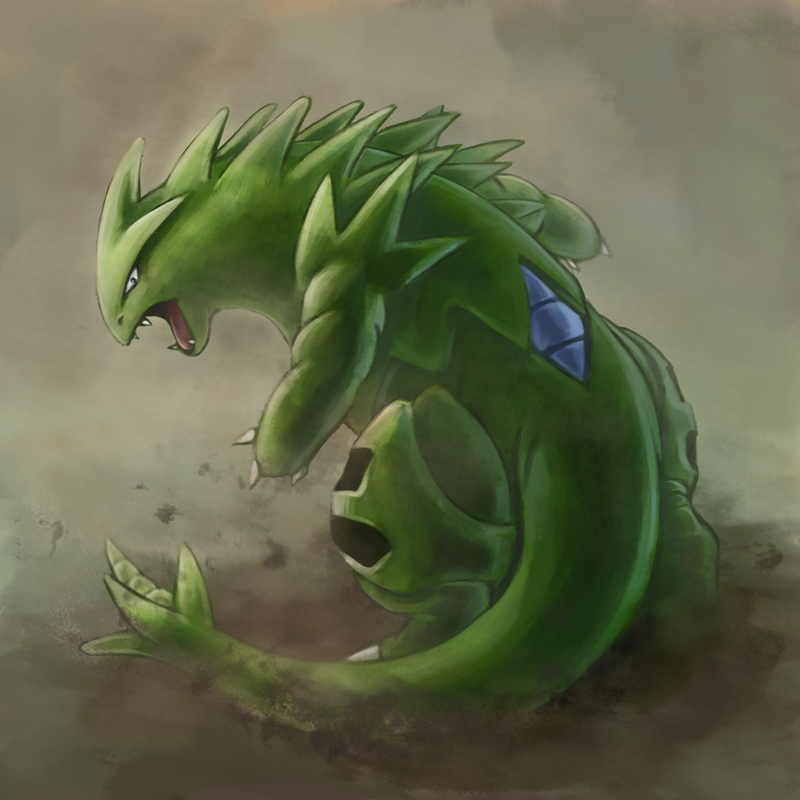 Third image for the third day with the best Pokemon, Tyranitar. Trying to draw more regularly, because I get stretches where a new game comes out or something and I don't pick up a pen for over a month. Feel free to leave a request if you have one lols. 4 for 4 with some double trouble! Chuas are too cute. 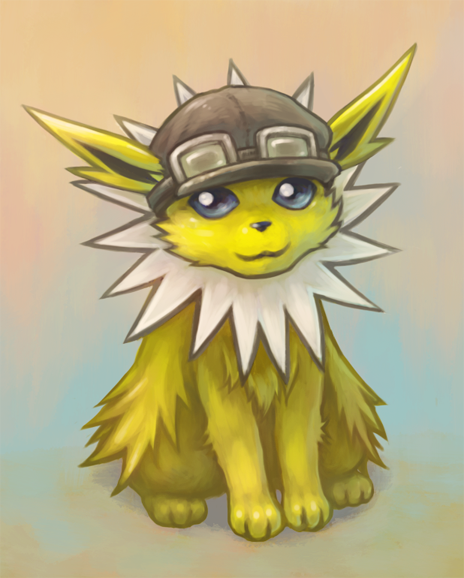 What you should do is draw a Jolteon. 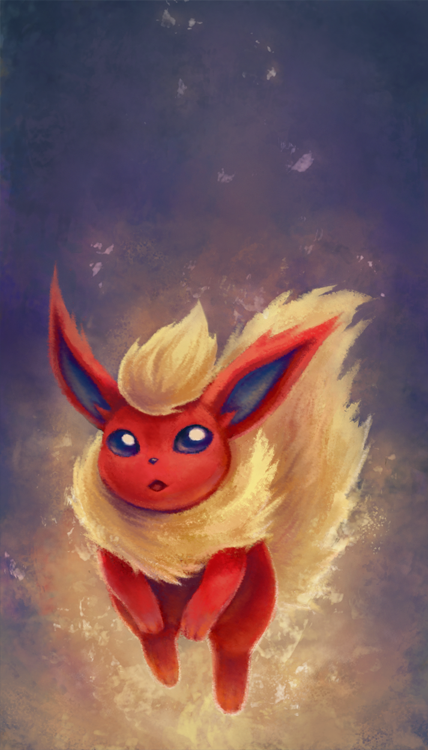 A very angry and zappy Jolteon. Or a Pikachu looking at a stuffed Pikachu in confusion. Or Pikachu riding a Jolteon. Yes do a Pikachu riding a Jolteon. I know you love to draw riding things. Nobody is gonna wanna sit on what amounts to a ball of spikes, sweetheart. In the meanwhile, some quick fanart of Taxi's "OC," Chainsaw Bouffant. Why, because it's a good story. Bonus commentary from my brother: "What the love is this? Why does it have a giant chainsaw sticking out of its love?" “I remember it like I was yesterday. I was the newest colt at the school, and everypony was picking on me. It was humiliating, and I just wanted to run away, but I was surrounded. The bullies teased me for my chainsaw tail, and the fact that I had a horn and wings. How could I help being born a chainsawlicorn? As I was being tormented, from behind me, a new voice -and stench- pierced the air. “Stop harassing him! He’s one of us, even if he is a blank flank with a chainsaw tail!” said the new pony. He was a brown colt with a frizzy dark yellow mane, and a bean with stink lines for a cutie mark. Curious as to who this colt defending me was, I asked him his name. “I am Smelly Beans, and I won’t stand to see somepony being bullied just because they’re different! Come on, get up and follow me.” as I got up and turned around, his expression changed to one of sheer horror. “What’s wrong?” I asked, but he simply pointed behind me, letting out a panic fart in the process. I turned around, and all the bullies were cut to pieces, their blood on my tail. “Oh Celestia, what have I done? Smelly Beans, let’s get out of here!” but Smelly Beans didn’t answer. I turned around, and realized in my hurry to see what he was pointing at, I had killed him as well. Why was this happening to me? Why was I born with a chainsaw tail? I collapsed on the ground, rolling around in emotional agony, crying, when my emotional pain became physical. I had cut off my tail and wings by accident. As I walked home, my girlfriend, Lyra, accompanied me. “So how’d it go, Chainsaw Bouffant?” she asked, in her cute voice. “All went well. I don’t need to see him anymore, he says.” We approached a bridge, which was being illuminated by the moon. We both leaned against the rails, staring at the moon’s reflection on the water. From Fluttershy’s house, we could hear a choir of crickets chirping a beautiful tune. I looked in Lyra’s eyes, and she looked in mine. She opened her mouth to say something, but then suddenly, her eyes grew wide in fear, and she shouted “Look!” and pointed behind me. She instinctively jumped back to avoid my tail as I turned to see what she was pointing at. A swarm of parasprites, wearing red headbands and wielding uzis was coming closer. We both turned ran as fast as our hooves could take us. 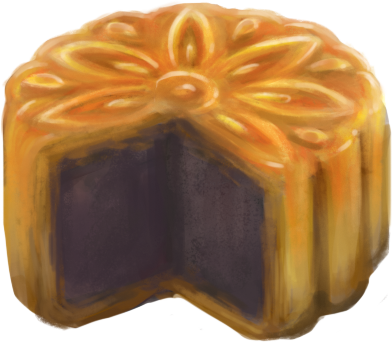 I heard heard the voice of Lily Blossom shout bleakly “Everypony for themselves!” gunfire, and then silence. Fluttershy blew out the candles in her house, and hushed the cricket choir. We ran, and we ran, and we ran. We reached edge of the Everfree forest, but went no further. We ducked into a bush. Lyra’s eyes were wide, quivering. Chainsaws, uzis, when would this madness end, I thought to myself. From a distance, we saw a silhouette and heard the sound of music. It was Pinkie Pie rocking out on an electric guitar, luring the parasprites back into the Everfree forest. “Marching band music must not work on the ones with guns.” Lyra said, trembling. We stepped out from the bush, and started to make our way back to Ponyville to help clean up. I turned to see if I could catch a glimpse of who spoke, but I could see nopony. Again, Lyra instinctively jumped out of the way of my tail. There was nothing to see other than the breeze. “Oh, I’m not gone. I’m still here. 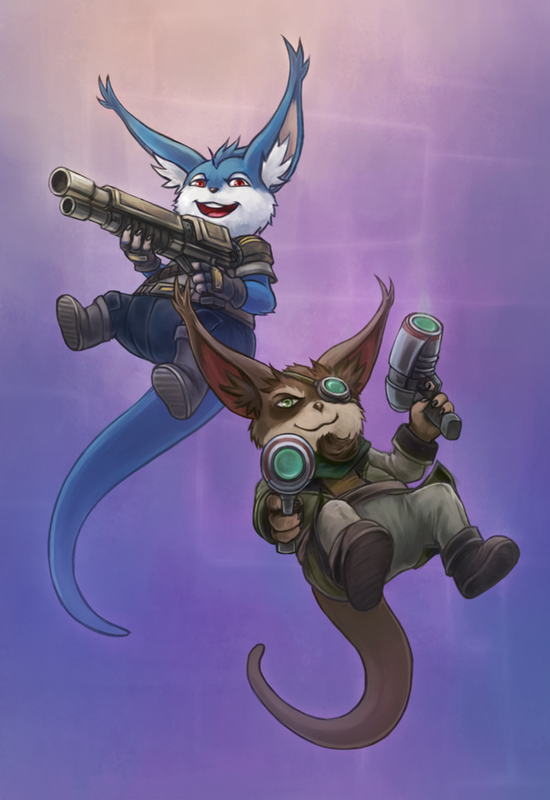 I’m everywhere, in fact.” Suddenly, the uzi parasprite swarm trickled its way back out of the Everfree forest. “Oh, that’s right. The parasprites are mine. They have been trained for years in the combat arts. Each one is a skilled mercenary. Simple ordinary music won’t distract them. They can only be distracted by an act of badassery!” I frantically searched around, trying to find the source of the voice, but it was no use. It seemed to echo from everywhere, yet from nowhere. 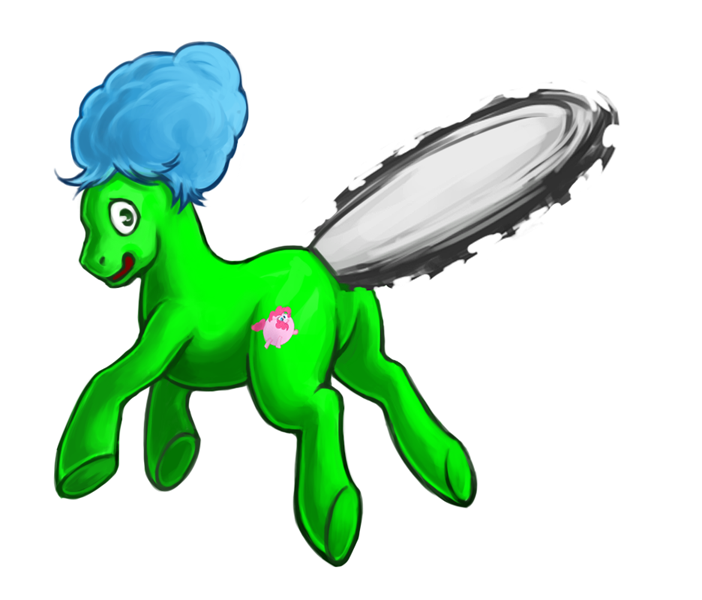 The parasprites made their way to Ponyville. What could he do? Pinkie Pie could keep luring them out with the guitar solo, but because they were under the influence of this menace, they would just return indefinitely. I frantically glanced left and right, trying to think of how these new parasprites could be combated. My chainsaw tail would be no use, because they would dodge it as a swarm. Before I could gather my senses, I saw a black object falling from the sky rapidly. Was it a cloud? No, too solid, and the weather crew had dealt with the clouds in this area earlier that day. As it got closer, I could make it out. It was some kind of cloth. A robe. Falling right over Lyra. She had apparently wandered off while I wasn’t paying attention. “Lyra?! Look out!” I shouted, but she was unaware. The loud noise of the parasprites’ wings could be heard from this distance and was blocking out my voice. I watched helplessly as the robed figure fell on her. As I got closer, I saw the horror that had occurred. Lyra was laying there, a long, bloodied blade sticking from her back, impaling her, a draconequus with flowing white hair holding its handle. “I thought Discord was the last draconequus” I muttered to myself. “Hah, Discord. How funny you mention his name.” He has good hearing, I thought to myself. “I have sworn to exact revenge on what has been done to Discord!” This can’t be real, I thought. Lyra is dead. I have nopony now. But I had to swallow my anger. I had to fight this new draconequus before I could cry. 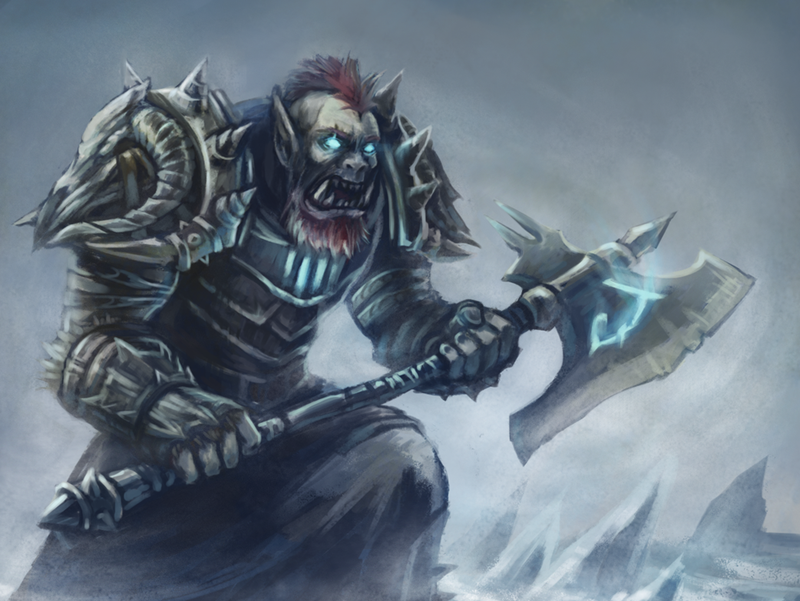 “You see, Discord was my son, before he was trapped in stone. To rub salt in the wounds this has caused me, he was revived, but then petrified again the same day. To lose and be done is worse than to have a lick at victory. I will get revenge for all you ponies have done to us!” My muscles tensed up. Enraged, I stood on my hind legs, and spoke. "What about us?! What are WE supposed to do?! What about my pain?! My hooves are tingling! My mouth is dry! My eyes are burning!" The draconequus tilted his head back and laughed. "What are you saying? Are you trying to tell me you have feelings too? Don’t be absurd. You ponies cannot comprehend my pain. But forgive me, I have yet to introduce myself. I am Cacophony, king -and last- of the draconequui. Sorry to stab and run, but I must leave. I have a meeting with a pretty princess!” Cacophony laughed maniacally, and his sword returned to his talon. He disappeared in a cloud of smoke. I tackled the smoke, but it disappeared. It made no difference. He was gone. I turned to Lyra. and saw her blink. I ran to her and kneeled by her side. She was still alive. “Ch-ch-ain... saw.... Bouffant” she said weakly. “I love you, Lyra! Don’t die on me!” I shouted, tears streaming down my face. I knew she was dying, and there wasn’t a damn thing I could do about it. “Get.. get out of here... now!” she shouted. She began to lift up a grenade. I didn’t want her to do this, but I knew she had to. The uzi parasprites were drawing closer, attracted to the grenade. The prospect of Lyra sacrificing herself with a grenade to kill the parasprites was so badass that it drew them to her from afar. I nodded, tears still streaming down my face, and ran. As I gained distance, out of the corner of my eye, I saw the parasprites clump on Lyra. I heard the sound of a pin being pulled from a grenade. I turned my head the other way and bit my lip, tears pouring from my eyes. I heard the sound of an explosion, and then there was silence. Then it hit me. Saving Equestria was a secondary objective to me now. I knew what I had to do. My main mission was purely for me. A reward I would have to work hard to earn. A glorious reward. But now, I was tired. I stumbled under a nearby tree and closed my eyes. Before I knew it, I was asleep. Applejack swung the bat hard, and it slammed into Pinkie Pie’s side. Applejack chuckled to herself as the contents of Pinkie Pie’s belly poured onto the floor. She dipped her mouth into the mess, and started eating. “Applejack! No!” shouted Pinkie Pie. “I cannot believe this! You’ve went and smashed the pinata before the party! Applejack glanced at the mess, and the smashed remains of the pinata. “I was, uh, checkin’ for parasprites! Honest!” Pinkie Pie looked at Applejack. She didn’t believe her story, but went with it anyway. “Okey Dokey Lokey. Where DID the parasprites go last night, after they came back? Thankfully, nopony was hurt, well, if you don’t count Lily Blossom fainting that is!” Pinkie Pie trotted off, still thinking about it. She didn’t lure them out again, so what caused them to leave? Why hadn’t Lyra returned? Did that bright flash near Sweet Apple Acres have anything to do with it? Either way, she had to meet with her friends at Twilight’s library. I made my way back to Ponyville. I knew I had to tell everypony about Cacophony, and what happened to Lyra. I decided that the best bet would be to go straight to the library, since there might be helpful books on draconequui there. I urgently opened the door, and saw Twilight Sparkle, Pinkie Pie, Rainbow Dash, Fluttershy, Applejack and Rarity getting ready for something. Twilight Sparkle stepped forward. “What’s the rush, Chainsaw Bouffant? There’s still plenty of time to help us prepare for the parasprites-are-gone party.” I told them all that happened. About Lyra. About Cacophony. “Does this mean we don’t get to throw a party? !” cried Pinkie Pie. Applejack turned to Pinkie Pie. “Sorry, sugarcube. But there are far more pressin’ matters.” Twilight Sparkle angrily snorted. “There’s no time to worry about parties! The princess is in danger! We must take the train to Canterlot at once!” Everypony ran out toward the train station, and I followed them. I figured I could lend a hoof with my chainsaw if I needed to. We boarded the train, and discussed the matters at hoof. The train was oddly quiet. Twilight Sparkle broke the silence. “I hope Princess Celestia isn’t turned to stone or something. How are we gonna fight this Cacophony guy if we can’t get the Elements of Harmony? !” I started to speak up, but I heard a thump on the roof, and the train slowed down to a stop. Everypony else huddled together, but I stood, ready for combat, my tail revved up, expecting the worst. Suddenly, with a terrible sound, a section of the roof was torn off. The change in the brightness of the cabin temporarily blinded me, but I could vaguely make out a figure standing over the hole. A white, winged figure fell limply from the hole and fell on the floor with a thud. As my eyes adjusted, I could see it clearly. A massive, pinkish-red creature with tubes coming out of it, wearing a luchadore mask. “I broke the princess! Ponies, listen. I am Bane. Princess Celestia is no more. I rule these streets, I rule Canterlot. Here is your princess. Take her, and bury her.” I glanced at the floor. The winged figure was indeed Celestia. First Lyra dying, and now Celestia. It’s as if this was the nightfall of peace. Before I could think further, Bane grabbed me by my body. Hard. He began using my tail to cut the cabin up, trying to use me to kill ponies. Thankfully, ponies are fast, and his aim is terrible. I was about to pass out from being gripped so hard. I could faintly hear the voices of everpony else, panicking. As if I was listening to them through water. Having no other option, I bit Bane’s hand as hard as I could. His grip loosened. I swung my tail and cut off his small finger. He dropped me. I was free. He stumbled back in pain. “More venom! MORE!” The tubes pumped a ghastly-looking fluid into him, and his body swelled even more. He towered even more over the train, laughing as he swelled. Veins bulging, he was a hideous sight. He reached to pick up the train, but the Wonderbolts flew in out of nowhere. They flew around his head, but they were but bugs to him. An annoyance. He swatted at them, but couldn’t hit them. One of them managed to kick him in the nose. He growled. While he was distracted, I ran up to his leg and started climbing. He didn’t notice me. Spitfire glanced at me, probably wondering what the hay I was doing. I made it to his back, and saw a clump of tubes. Groovy. Using my tail, I sawed through the tubes. He immediately stopped caring about the Wonderbolts, and started to swing at me. I used my tail as a pick to climb up his back, stabbing into his throbbing, veiny flesh. He gripped his head with his hands, as he started shrinking. The Wonderbolts grabbed me and lowered me back to the ground, in front of Bane. “Who... who are you? You’re not the bat.” I thought for a second to myself, wondering just who this bat is. “I’m not a bat. I’m a pony. My name is Chainsaw Bouffant. You will pay for what you have done.” Bane tried to stand up, but couldn’t. The best he could manage was staying on his knees. “Heh, my defeat doesn’t matter. I’ve done what I set out to do. I broke the princess.” Before I could say anything else, Bane disappeared, laughing. I urgently ran to the wreckage of the train to make sure everpony was okay. Princess Celestia lay there, barely breathing. She was still alive. Everypony else was huddled around her. Weakly, she spoke. “Give... me... room...” Everypony backed off, and left the train to get help. It was just me and her in the cabin. I got closer, but suddenly, her eyes glowed red. Ethereal strings attached to nothing appeared above her, and she got up, moving like a toy puppet. She spoke. “You should just just run. You stand no chance against Cacophony. If you flee, you might survive.” I knew this trick. Applejack told me about it. It was the same kind of trick Discord pulled on her. Princess Celestia was manipulated into firing a ball of pure chaos at me. I dodged it, did a wall-jump, and severed the strings controlling Celestia. Even after that, she was still alive. I walked up to her. “Chainsaw... Bouffant... there has always been... another... element of... harmony... but... for now... I grant you the power... you need... to defeat... caco...pho” she blacked out, and her horn shot a bright light at me. I felt stronger. At the Ponyville hospital, Princess Celestia lay comatose. The doctors assured us that with magic and rest, she would be fine. I nodded, and our party of seven set out, yet again, to Canterlot. This time, Twilight Sparkle was using a spell that could teleport us to the royal library, because the train was being repaired. “Would have been nice of her to do that from the start.” I muttered to myself. “What did you say?” Twilight Sparkle said, straining to cast the spell. “Nothing.” I said. Suddenly, with a flash, we were at the royal library. Or rather, the what was left of it. All the book’s pages were pulled out neatly, and stacked. Twilight Sparkle ran to the stack. “Argh! They’re in the wrong order!! !” she said. I started to speak up, but there was no use. She frantically used her magic to bring the book covers in a pile, and started obsessively. “Sugarcube! The books can wait!” shouted Applejack, but Twilight Sparkle didn’t listen. Twilight Sparkle was just too obsessed with putting the pages back in the books. A task that, even with magic, would take days. “Come on everypony, let’s go.” I said. Reluctantly, everypony except Twilight Sparkle followed me, into the hall. I’d been in the halls before. Sure, they were big before. But now, they seemed massive. And shadows covered everything. “Stay close, everypony!” I said. My voice echoed through the empty, dark halls. Usually Twilight Sparkle takes the leader position in these situations, but for now, it seemed that was my job. Nopony complained, so I didn’t either. Suddenly, the gobbling of a turkey echoed through the halls. Fluttershy chased after the turkey. I started to shout for her, but decided it was no use. I nodded at the other ponies, and they followed me. In a cage was a kettle, with a turkey strapped up inside it, and a tiny spark of a flame under it, flickering pointlessly. “No no no!” shouted Fluttershy, softly. She squeezed through a bar on the cage. I tried to follow her, but I couldn’t fit through the bars. There were a few hundred combination locks on the turkey’s straps, and Fluttershy began trying to remove the locks. “I’ll save you, mister turkey! Who cooks a turkey, anyway? !” I shouted at Fluttershy. “The turkey can wait! That fire’s so tiny it would die of old age before it would even start cooking!” but it was no use. Fluttershy ignored me. “Why even bother to save that ugly bird, anyway?” said Rarity. Everpony else glared at her. Knowing there was no way to convince Fluttershy to leave the cage and follow us, we left. We walked down the halls. Pinkie Pie bounced alongside me. She was the polar opposite of me. While sadness and misery followed me everywhere, she was the epitome of happiness. Still, seeing her smile brought me a flicker of happiness, and so I smiled back. We got close to the royal dressing room. Funny, there’s a royal dressing room, but Celestia and Luna always where the same outfit, I thought to myself. Rarity shrieked, and charged in the dressing room. Knowing the drill, I didn’t object, and followed her. The other ponies followed suit. The gowns, dresses and hats were tattered. “Such a crime against fabulosity cannot go uncorrected!” Rarity shrieked. She saw a hoof-operated sewing machine and ran to it. “The clothes can be repaired later. Besides, Canterlot has a whole crew of skilled tailors!” After I said that, I thought to myself. Big mistake. Rarity gasped, tears started forming in her eyes. “I’m far more skilled than any small-time tailor Princess Celestia might have working here. And I’ll PROVE IT!! !” She furiously set to work repairing the garments. I didn’t even try to coerce her to stop. We just left. Just Pinkie Pie, Applejack and Rainbow Dash left. It felt like the royal chamber was miles away. “Pick up the pace!” I said. Rainbow Dash sighed. “If it weren’t for Applejack slowing us down, we’d be there already!” Applejack’s face grew red. “Why I never. I figured we stopped bein’ all aggressive about racin’ and stuff during the Running of the Leaves. Rainbow Dash smirked. “I’m faster than you. Wanna prove it? Race you back outside! 123GO!” Rainbow Dash flew quickly back down the now seemingly-infinite hall. “Oh ponyfeathers! How will I ever catch up to her? !” Applejack said, angry. She ran off after Rainbow Dash. “Wait, we have to fight Caco-” I cut off my sentence. There was no use. We were almost to the royal chamber. Just me and Pinkie Pie. Out of the corner of my eye, I saw some crying rabbits wearing party hats around a cake. I already knew what was going to happen. Pinkie Pie would see the rabbits, and stay behind trying to cheer them up. “These must be tricks set up by Cacophony” muttered Chainsaw Bouffant to himself. 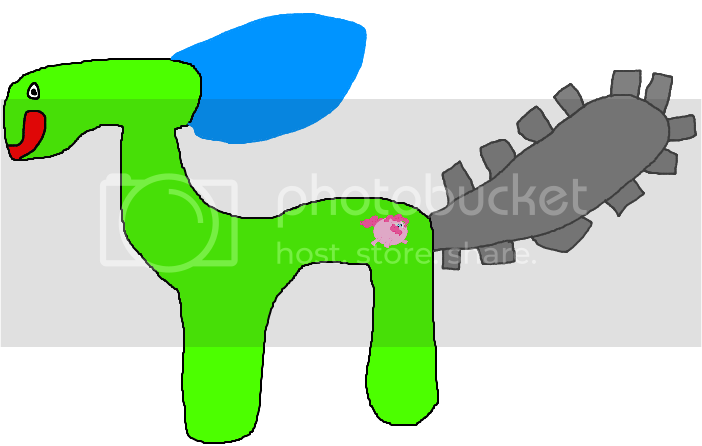 “Hey, Pinkie Pie, you like pin the tail on the pony, right?” I spoke, getting an idea. “YesyesyesyesYES! I do!” Pinkie Pie said, happy at the thought of playing her favorite game. I ripped off a strip of a banner hanging by me, and covered Pinkie Pie’s eyes with it. “The pony’s over there! I said, pushing her toward the royal chamber. “Good. She didn’t see the rabbits.” I muttered to myself. I ran to the rabbits’ cake and cut it with my chainsaw. “There, your cake is cut? You happy?” The rabbits all glared at me with red eyes, and they swirled away into smoke. I quickly caught up with Pinkie Pie. We had to be past the obstacles now, I thought to myself. The door to the royal chamber was in front of us. We both gulped hard, and without a second thought, charged in. Cacophony sat in Princess Celestia‘s throne, tapping with his talon. “All my gauntlets you did pass, you even managed to kick Bane’s-” he cut himself off mid-sentence, surprised to see Pinkie Pie hadn’t fallen for his trick. “HahahahahahahaHAHAHAHAhehehehehHOHOHOHO... hee... hah.... hah.... you made it so far, but you don’t even have the Elements of Harmony. You don’t even stand a chance against me. How priceless. My regime will last forev-” I wasn’t going to let him finish that sentence. It was time to get my revenge, Elements of Harmony or not. “I don’t need the Elements of Harmony to defeat you! I don’t want to petrify you. I want to KILL YOU!” I leapt up and swung my tail at him, but he leapt out of the way. Suddenly, a small silver-and-black stick appeared in his hand, and a beam of red light came from it. He held it above his head and charged at me with it. He swung for me, but I blocked it with my chainsaw. For what seemed like an hour, we deflected each other’s blows. Both panting, we stared each other in the eyes. Pinkie Pie’s voice broke the silence. “Is that a glowstick?! I LOVE glowsticks!” She reached her hands to the left, and out of nowhere, she pulled in Vinyl Scratch and a DJ’s turntable. Vinyl Scratch didn’t even question this logic, and started laying down some beats. Cacophony stared at this spectacle. I slashed him across the chest with my tail. He clutched his wound and fell back. “You... fool... all you’ve done is angered me.” The room was no longer covered in shadows. By this point, Pinkie Pie had somehow brought in strobe lights and a disco ball. “I... cannot be truly killed... which is why draconequui are always petrified!” His wound closed itself, and he threw his head back, laughing insanely. I bucked his sword -a saber of light- out of his reach. How could I stop him if I couldn’t petrify him. I needed the elements of harmony. Then it hit me. What Celestia said back in the wreckage of the train. Another Element of Harmony. Suddenly, in a bright flash, I held a golden BFG 9000 in my hooves. “I am Chainsaw Bouffant, and THIS is my Element of Harmony! Misery!” Cacophony chuckled. “Only one element? Don’t make me laugh. It takes six to turn me to stone forever. One of them only has the power to petrify me for a couple minutes! Also, misery? That sounds like an evil power to me, heh.”. Either way, I knew he feared this power, so I decided to speak to him while I had his attention. “Pfft, misery? Evil? Are you kidding? For starters, misery is the absolute best way to add character depth. An angsty, whiny, miserable character is a deep character! Good? Bad? I’m the guy with the BFG 9000! This is for Lyra! For Celestia! For Equestria!” I pulled the trigger on the Element of Misery. The burst of light was enormous. When I could finally see again, Cacophony was standing as statue, sitting in Celestia’s throne, one elbow on his knee, caught with a look of deep concentration on his face. “Pinkie Pie, get the others. There’s not enough time to round them up before he breaks free, but if you start getting them off I can hold him back until you get back!” I was lying. I couldn’t hold him off. I was too drained from using the Element of Misery. But she didn’t know that. Or maybe she did. Either way, I had enough left in me to hold him off for a while, but if she took too long- “I wish I had a way to destroy him here and now.” I muttered to myself. Pinkie Pie bounced toward me. She got a big grin on her face. “That’s why I never leave home without my party cannon!” Out of nowhere, she produced her party cannon. She aimed it point-blank at the statue, and blasted it. Statue dust rained down on me and Pinkie Pie. “Is he... dead?” she said. “I’m not sure.” I replied. How would one survive being blown to bits, as a statue no less? Suddenly, the bits of statue turned to hunks of flesh, and the dust turned to blood. “Yep. He’s dead.” I looked at Pinkie Pie. She looked at me. We’d been through a lot together. 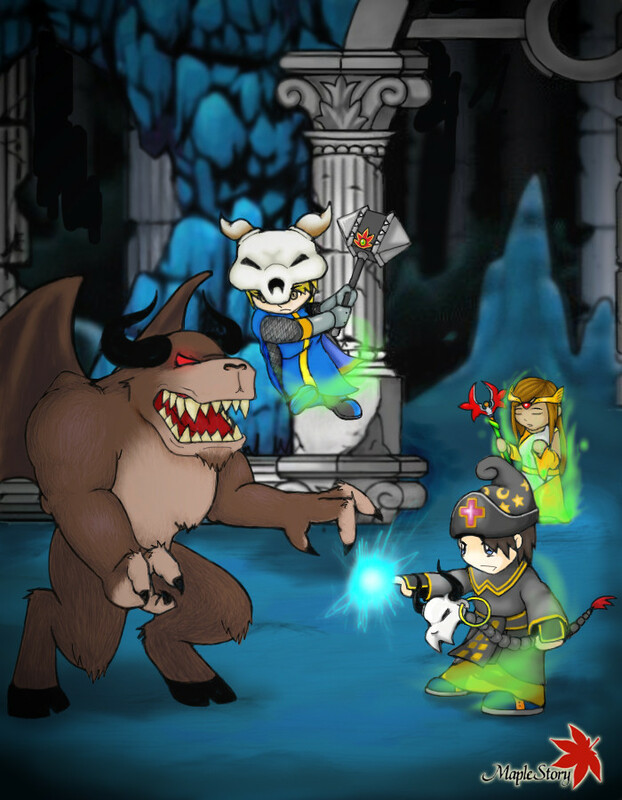 I’d avenged Lyra. All of Equestria was saved. I looked in her eyes. She looked in mine. I lost Lyra, but still had Pinkie Pie. A month had passed since the catastrophe. Bits of Cacophony were still being cleaned up to this day. It was funny to think that a month ago, chaos had erupted in the royal hall, but now it was decorated for the wedding. I stared in Pinkie Pie’s eyes. She stared in mine. “I now pronounce you mare and colt!“ declared Celestia. The crowed cheered, as Pinkie Pie and I walked toward the limousine carriage. “Oh, before you leave, I have a gift for you!” shouted Princess Celestia. She flung an object at me, and it landed on my tail. I looked at it and beamed. A sheath. After all these years. Why didn’t I ever think of that? I held Pinkie Pie’s hoof as she stepped in the limo, and I got in myself. She opened the window, and threw her bouquet into the crowd. Rarity jumped up to grab it, but Colgate slammed her face with her hoof. “Not this time.” She caught it. 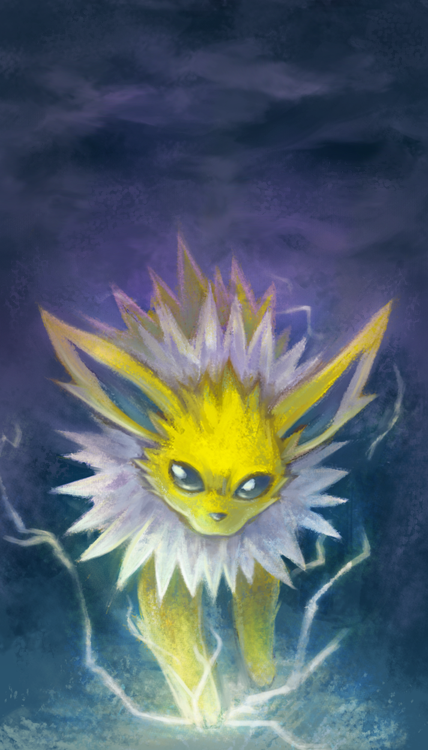 A very angry and zappy Jolteon. Well, Jolteon's not that angry, but this was kinda interesting. Also, huge ears. If you really wanted angry you could shop in a bulging vein on its forehead. Always happy to try and answer any drawing, design or writing related questions, of course. Next in the request pileup might be Golden Sun related, unless I get something easier. Just kidding for now, Tich alternatively suggested I do the other Eevee evolutions. 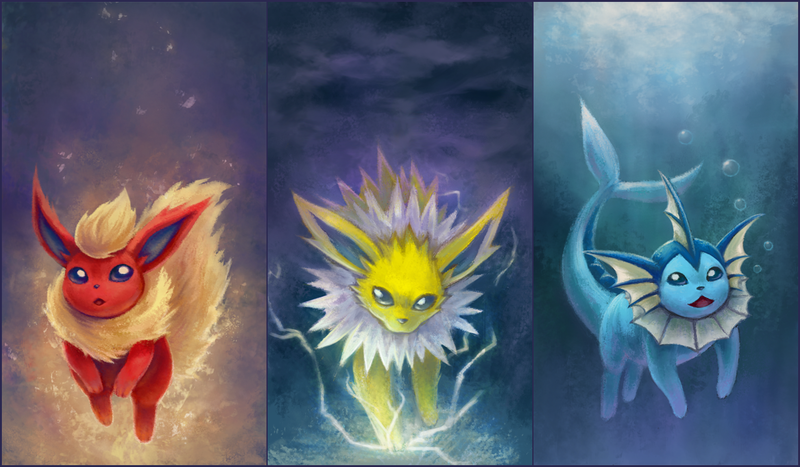 Probably only have enough attention for Flareon and Vaporeon though. Edited by Dopple, 09 July 2014 - 02:05 PM. I am amazed. I have no words. Man, has it really been over a year since I heard about Chainsaw Bouffant? Felt like it was last week. 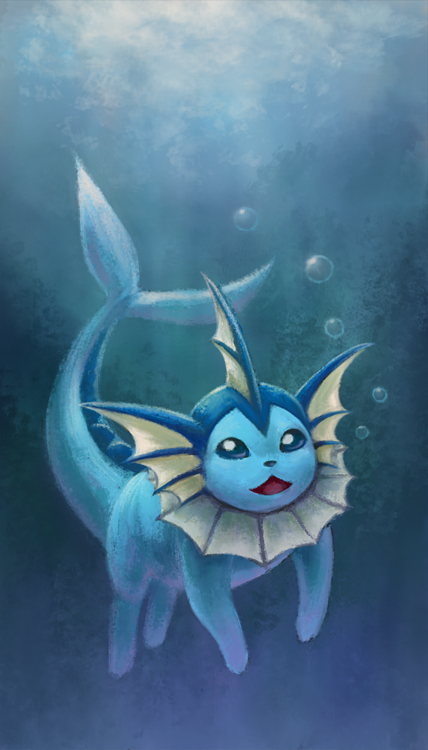 Following from Tich's request for other Eevee evolutions, Vaporeon. Edited by Dopple, 22 December 2014 - 08:17 PM. I know that feeling. Finding myself referring to things that happened years ago as if they were yesterday. 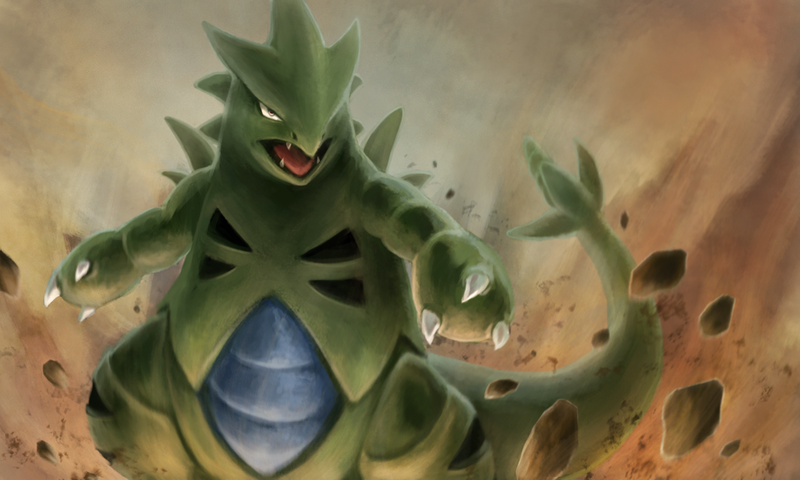 Wrapping up today with another attempt at the best Pokemon. Not gonna lie, this one was frustrating. At a point I thought it might be one of those projects I stop somewhere and never pick up again. Edited by Dopple, 22 December 2014 - 08:18 PM. 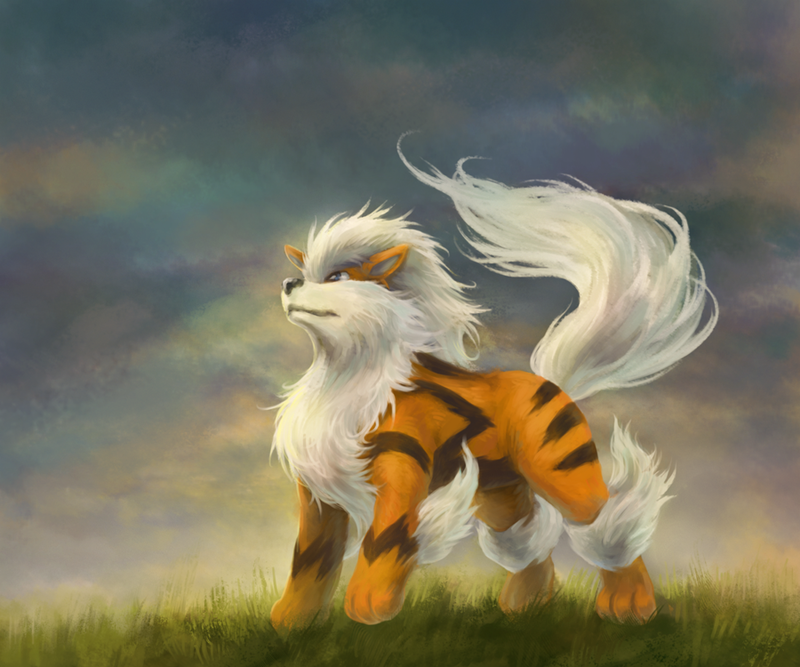 I remember Lingy likes Arcanine. I've got a case of the Encore because Pokemon is an easy way to broaden my viewership. :T Moreso if you draw popular Pokemon though. 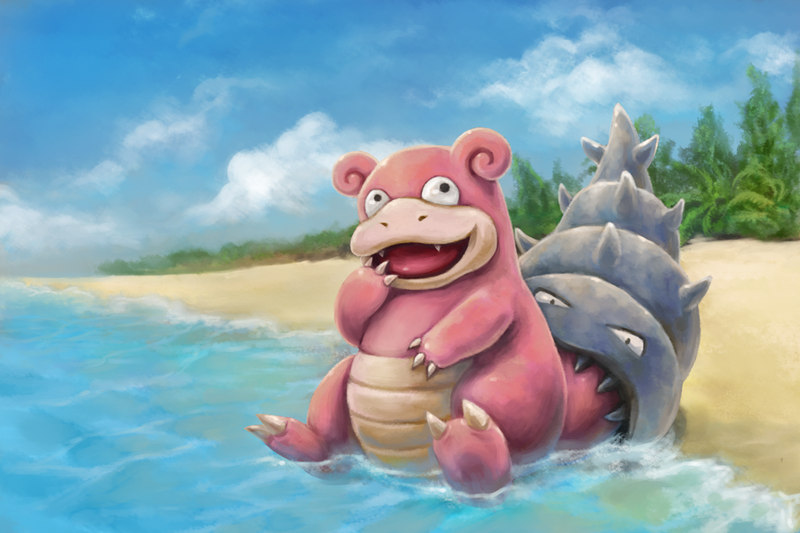 As in, not Slowbro. 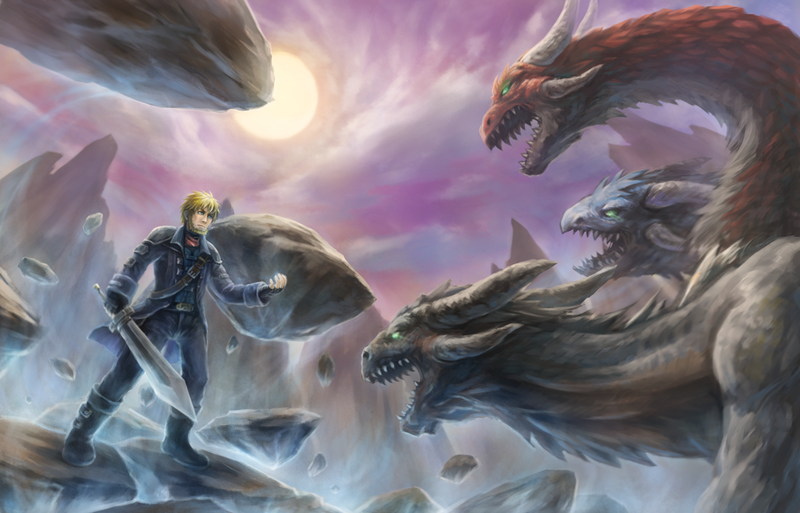 Researching Golden Sun even for refresher purposes is like pulling freaking teeth. The amount of horrible pairing fanart compared to the amount of everything else is max gag. Edited by Dopple, 22 July 2014 - 07:12 PM. Swung around to that Golden Sun request and realised how little I knew wdf I was doing. I think there are multi-headed dragons in there somewhere. Isn't this series supposed to be popular? What's with the lack of decent fanart and resources? Edited by Dopple, 25 July 2014 - 07:53 PM. Reminds me somebody opened requests (not here), and proceeded to reject every prompt for the next two pages in the topic. Certainly there's no obligation to accept any particular request, but way to lose the point. I didn't use to accept requests because I couldn't trust myself to finish them. Like I once agreed to draw another of SpionKop's characters, and it bothered me for a few months since I'd never get around to it. I eventually apologised to him, but by that point he was like, "You're still worried about that? O_o" And then I realised I was being a weirdo. I still stopped accepting requests for a few years because I felt bad, though. Well, it's not really a problem now when I can knock this stuff out in a day. This bit of bad dialogue advice got featured on DeviantArt. I was hoping I could learn something. “Hey, time to wake up!” Ruby said. “C’mon, rise and shine!” She said. “Mmn…Five more minutes…” He said. Well, that’ll become a best seller...NOT. 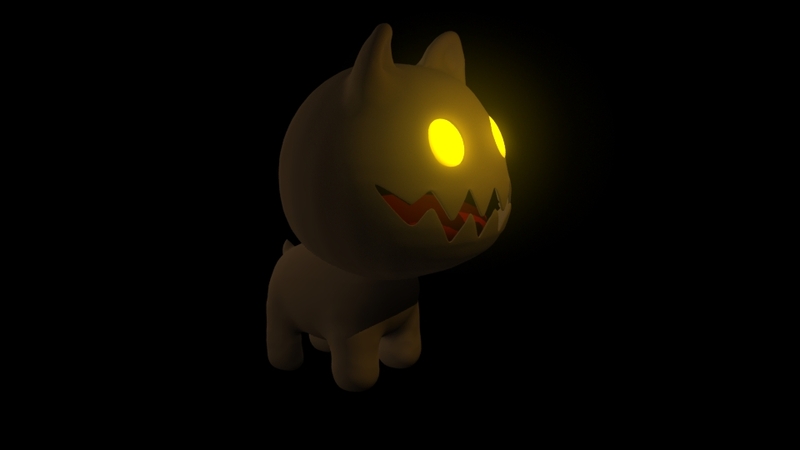 [Said] Get’s old and stale pretty fast, doesn’t it? To make your writing stronger, we need to replace and rearrange. Generally, the fewer ‘said’s in your work, the better. A reader may forgive you if you use it every now and then, but if you can avoid it, then avoid it. But the question is, how? The problem isn't the word "said." The problem is that this example is horrible writing. "Said" gets stale here because these dialogue tags are redundant beyond identifying the speaker. Emphasising "said" by locating it at the beginning or end of every sentence compounds the issue. Boring and unworthwhile exchange aside, you can imply a character's tone of voice through actions instead of dialogue tags. Ruby barged into the room. "Hey, time to wake up!" Red rolled away from her, groaning. "Hey, time to wake up," Ruby said. The bundle of blankets shifted. "Mmf..."
Bit of an aside, "Red said" is such an unfortunate rhyme I'd avoid the phrase as much as possible. If I had a character called Red, anyway. Back to our example with our characters Ruby and Red, notice how our two characters are speaking, or their tone. ‘Said’ is a generic verb describing speech, but there are dozens, if not hundreds, of synonyms for it that can be used to specify how someone is speaking. Say we have a character saying the corniest line in the history of all things corny; “I love you.” If we wrote that with ‘said’, then it’d sound even cornier. However, if we replace ‘said’ with a better, more specific verb, then we can make it less corny. If you execute the bolded part well, you won't have to specify that he's "croaking" (like a frog or something...), or need the dialogue tag at all. Worse, when such substitutes are located after a particularly long quote, you're forcing the reader to go back and rethink how the character spoke. Obnoxious work. “Hey, time to wake up!” Ruby yelled. “C’mon, rise and shine!” She barked. “Mmn…Five more minutes…” He muttered. This is still gross because of all the "-ed" endings and the repetitive sentence structure. Also notice only one sense is carrying the scene: sound. Actions can take on some of the heavy-lifting from the dialogue, instead of leaving you comatose like in this example. I've seen some other extremes, such as stories with no sense of touch, so you're floating the whole time you read it. but we can play with it even more. For starters, we don’t have to strictly say ‘he/she/name (insert said synonym)’. We can tell the reader who’s talking by referring to the speaker’s actions or elaborating on what the speaker is doing as he/she is talking. “Hey, time to wake up!” Ruby yelled into Red’s ear. “Mmf…” He pulled the plush quilt over his head. “C’mon, rise and shine!” The girl vigorously shook him by the shoulder. “Mmn…Five more minutes…” Red muttered. “Are you going to sleep in all day, or what?” She huffed with a pout. At least the author recognises actions help identify the speaker, but it's really much more than that. I don't like to be too picky about how I draw things sometimes, so my pictures have drastically varying levels of polish. Keeps my brain from exploding on an off day. 1000x more wound up about writing, even if you never see any come out of me. Random picture to keep this post from being empty. You know when you're new at something and you have no idea what you're doing? 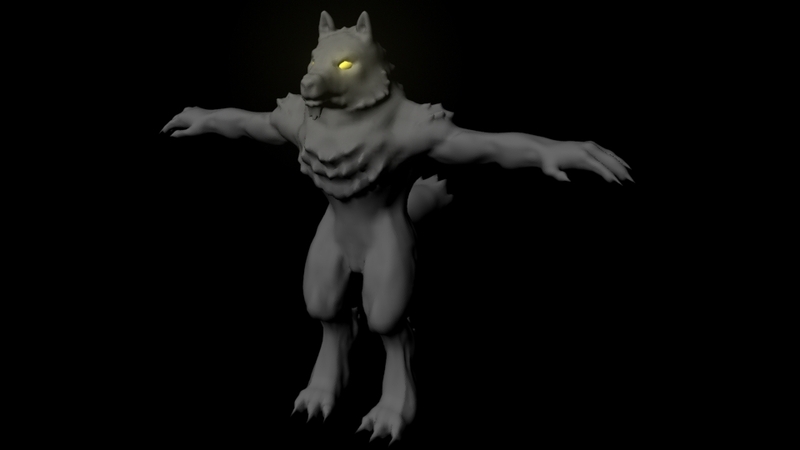 Maya is a pretty big program, but the exciting thing is that you can build something like this after learning 0.5% of the tools. As long as your computer isn't hopelessly slow. 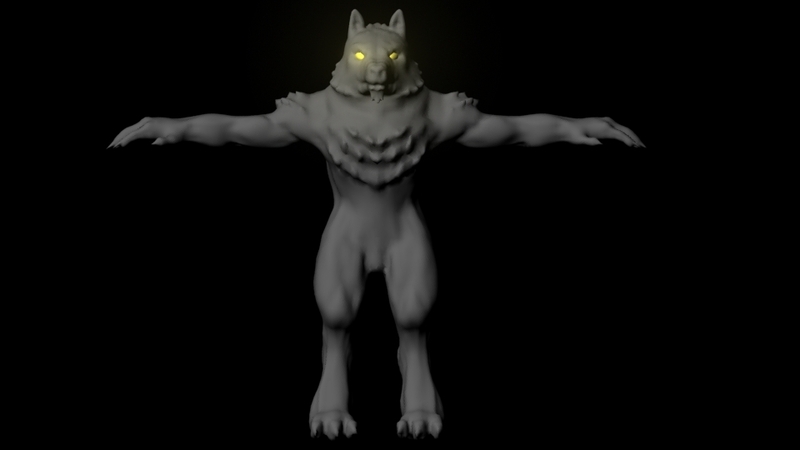 Another 1% of the tools: skinned, rigged and a crappy animation. I'm so thrilled wading through this flipping UI with menus inside of menus hiding behind more menus. Btw his name is Moofi. These last few days if I wasn't getting dragged somewhere I'd lock myself in my room and do this the whole time. Well I'm alright with how this turned out, considering I didn't use any references. Something else on the side. Edited by Dopple, 07 February 2015 - 04:30 PM.